This is the end, basically. I had hoped the book would end with a bang, with a massively inspiring prompt for the most wonderful art project ever, a sort of capstone moment. A trickster’s thesis. A daring dissertation. But the penultimate exercise, while intricate and interesting, did not yield any great results, and the final exercise wasn’t an art project at all, but more of an instruction for two things that artists should do, which most of us probably already do. 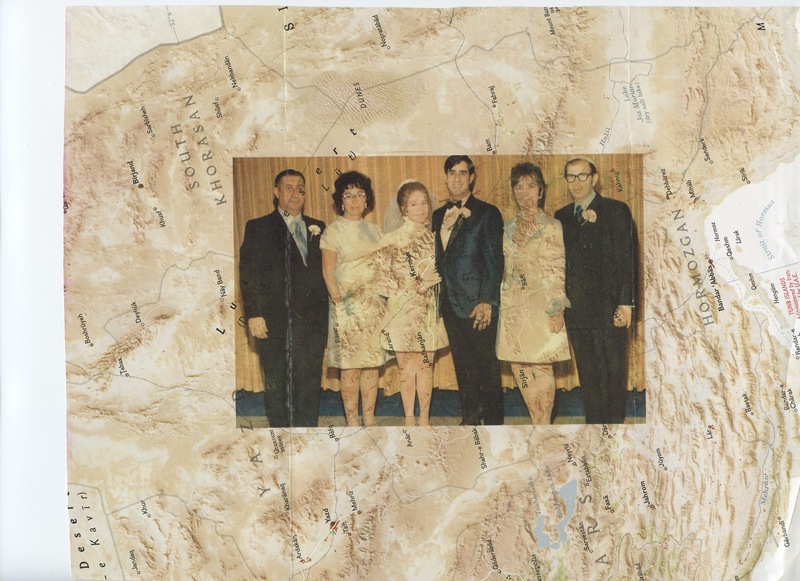 So this is my favorite piece from the end of the book, Exercise 47, printing photos on old maps. The result is interesting; the pieces could use more adornment, but there is something lovely about the results. And there you have it; I did 49 exercises for creativity and it feels as if I learned a great deal. I only blogged about one third of these activities. A few of them may come up later, but if any of this sounds interesting to you, I do encourage you to lay your hands on a copy of the book and give it a try yourself. 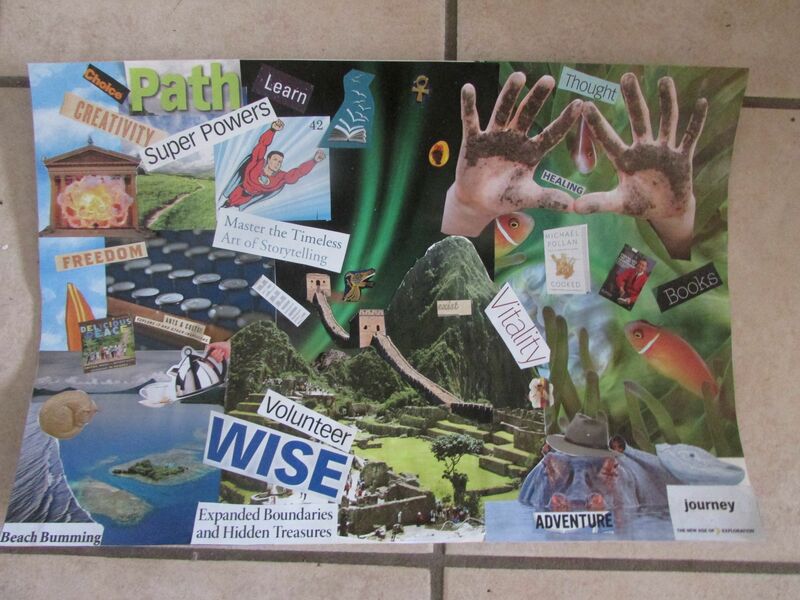 This entry was posted in creative exercises and tagged art, creativity exercise, maps, print on May 30, 2014 by littledragonblue. Some of what Bantock strives to communicate in The Trickster’s Hat is the need to tell your inner critic to shut up. He’s quite right; it was that voice constantly insisting that my work wasn’t good enough that robbed me of the pleasure of intensive visual creation for big chunks of my life. Art is subjective, and I have to believe that it’s better to create something flawed than not to create anything at all. Exercise 44 is intended as a visual reminder. Paint two parrots, one green and one red. Simple enough. My parrots were born in the space of under a dozen brushstrokes each. But then, the directions continue: paint a big, black X over their beaks. How sad! I was rather pleased with my parrots and did not want to obliterate their little faces. 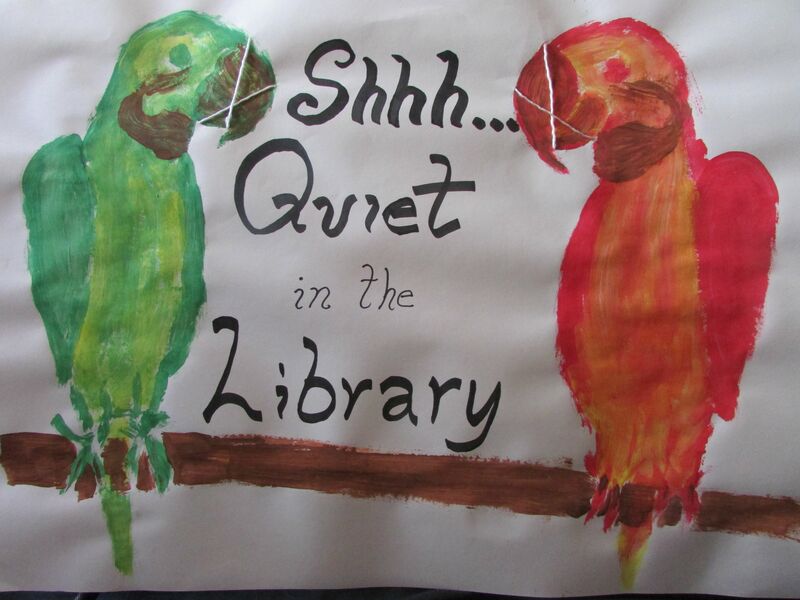 Rules are rules, but, engaging again with the spirit rather than the letter of the law, I poked some holes in the paper and tied their beaks shut instead, a much more elegant solution, and the parrots are silenced just the same. This entry was posted in creative exercises and tagged animals, art, birds, creative exercise, paint on May 25, 2014 by littledragonblue. Part of being a trickster is embracing whimsy. 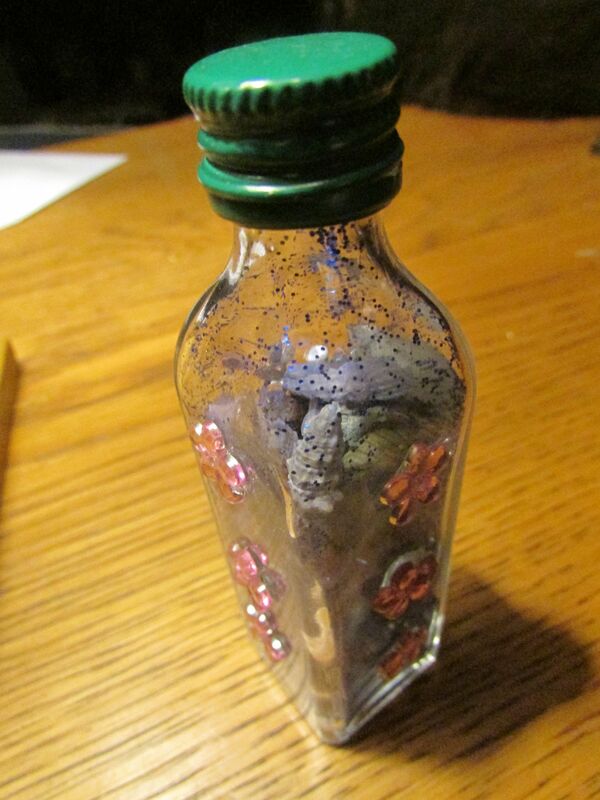 Exercise 32 involved creating a magical object: here a magic bottle. The vessel itself once held a single shot of a very high quality absinthe we drank in Prague; the herbs were still in there, along with a number of perfect tiny seashells, petals from the first roses my husband ever gave me, beads from my wedding gown, blue glitter, and a few other things. The pink flowers I ripped off a headband my stepdaughter hadn’t worn in over a year. Exercise 34 was one of the most fun ones; I’m sorry I haven’t got a picture, because the final step was to mail the completed project to someone. 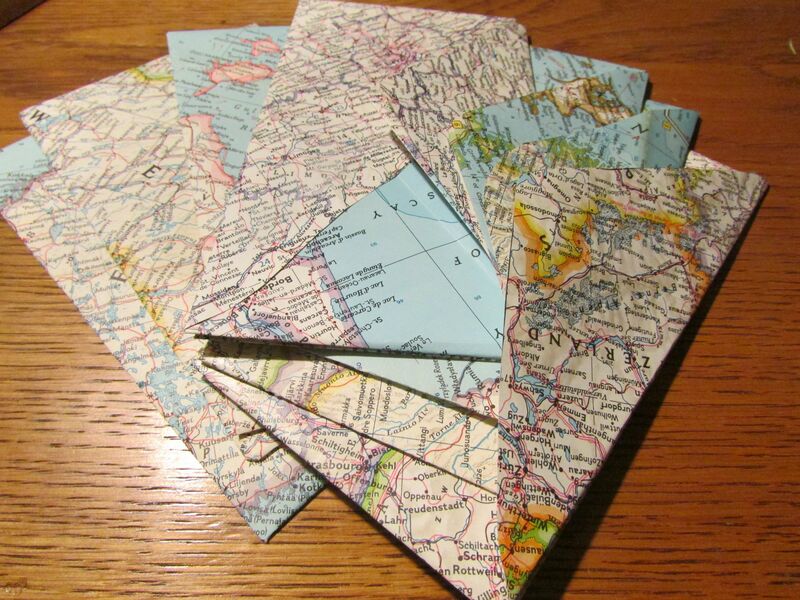 It began with directions on how to cut and fold an envelope out of an old map. Fortunately, I am the kind of person who owns many old maps. 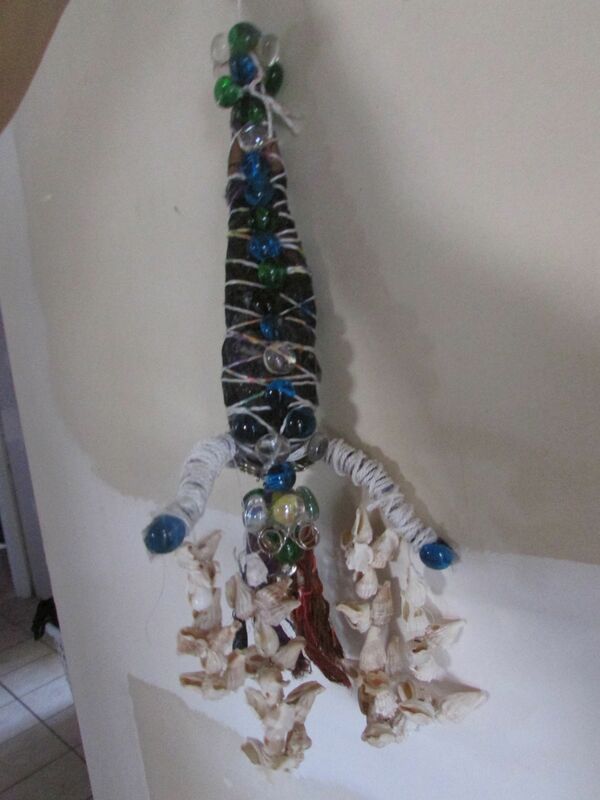 Then, the reader was asked to create some strange, whimsical work of art and mail it to someone with no explanation. My best friend Jack knew about the Tricksters’ Hat and had done one partner project with me. I cut out a large image of Abraham Lincoln’s hat and then cut and paste letters, ransom-note style, to spell, “The trickster wears many hats.” Then I cut out a couple dozen tiny images of hats, all different: baseball hats, construction hats, fishing hats, Santa hats, an astronaut’s helmet. I folded the big hat, filled it with the little ones, inked a beautiful address, and then decided, since I had the key to his place and was taking his mail in while he was out of town, to create another fake stamp and also a super-fake jeweled return address label. Then I hid it in his real mail. I’m only sorry I didn’t get to see his face when he opened it. But he appreciated it very much. 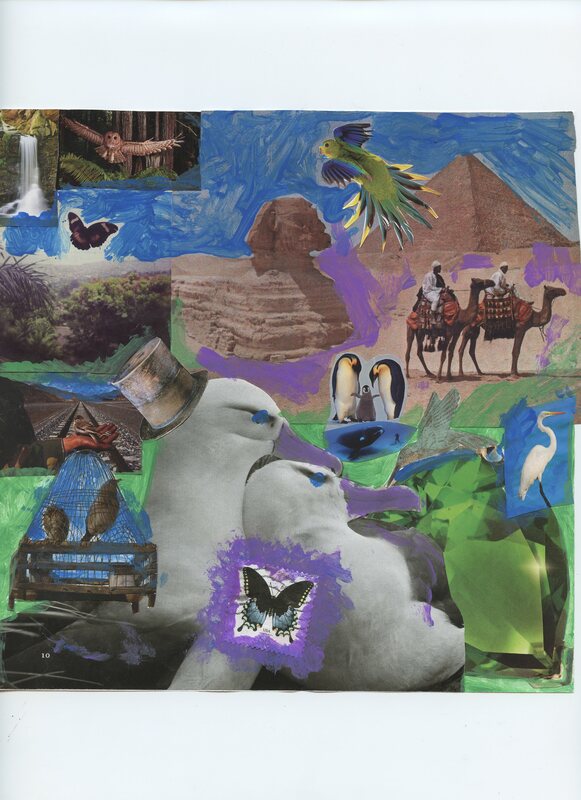 This entry was posted in creative exercises and tagged art, creative, creativity, envelopes, magic, maps, trickster's hat, whimsy on May 20, 2014 by littledragonblue. It’s a really striking image, and much-copied. I love the thickness of the brush strokes, the boldness of the color. 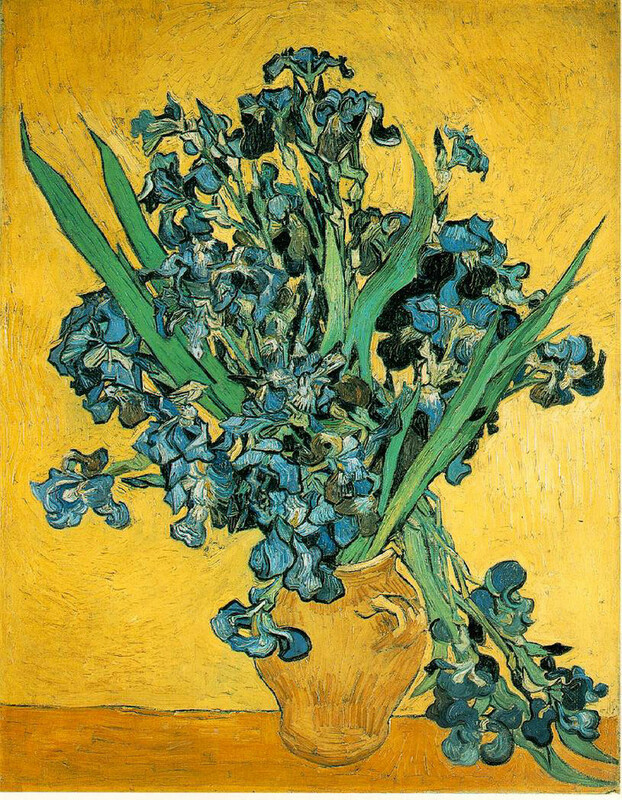 My Blue Irises in a Yellow Vase. Exercise 31 involved learning from others: pick a famous work, study it, learn from it, duplicate it, and then expand the project in some logical way. The example in the book suggested visiting a ballet school if, for example, your famous work was one of Degas’s. Drawn fast, larger than actual size. 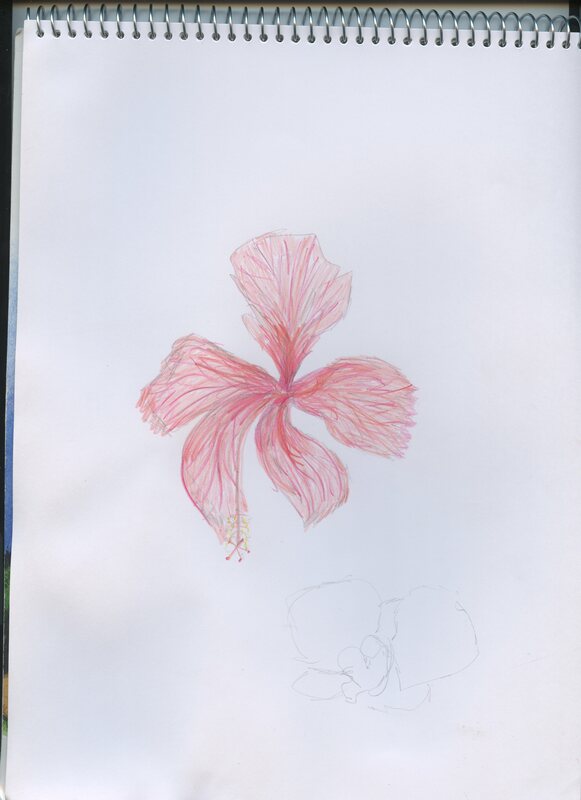 For my extension, I visited the nearby Tucson Botanical Gardens and sketched flowers. This is a hibiscus that lives in the greenhouse. I like the rougher look to Van Gogh’s work, how it seems sloppy, but it’s not. The colors weren’t really available to me with the materials at hand, but some of them made a nice showing there, anyway. 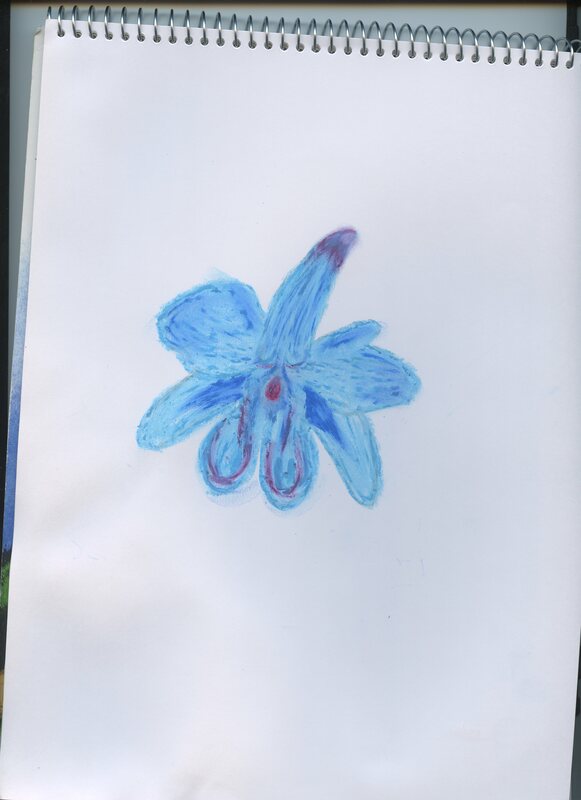 Orchids are hard; I’ve been trying to draw a passable orchid for years. 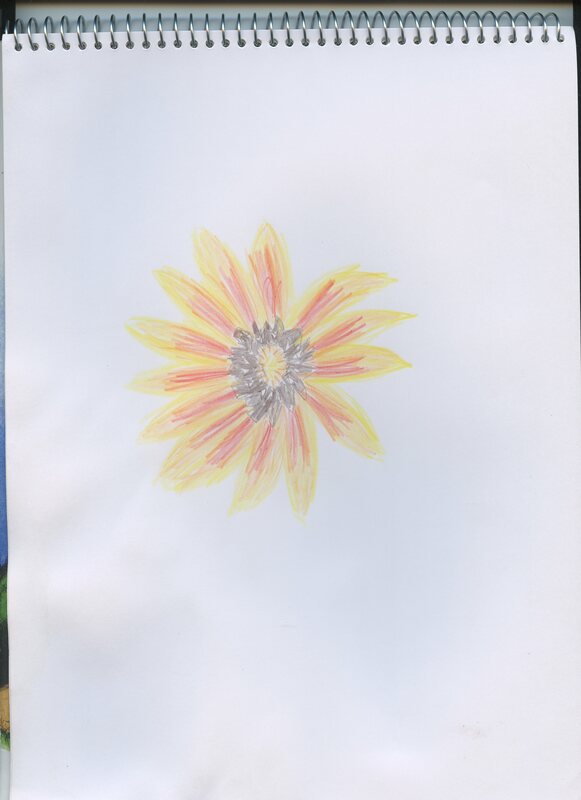 I sketched this one slowly and then took it home to use the pastels. Somehow it looks meaty, rather than delicate, and I’m afraid there’s something the slightest bit obscene about it. Orchids are complicated. 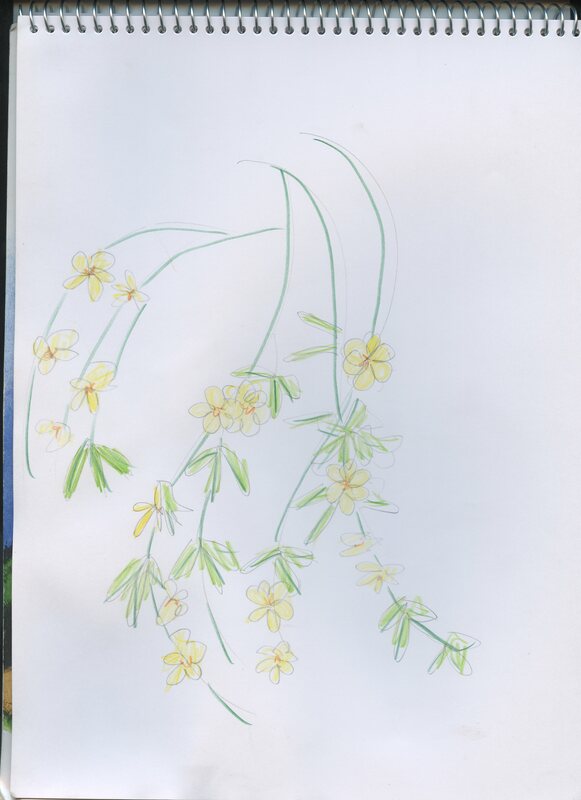 Sketching in the gardens was so enjoyable. It’s definitely the sort of thing I want to incorporate into my artist’s life to a much greater degree. 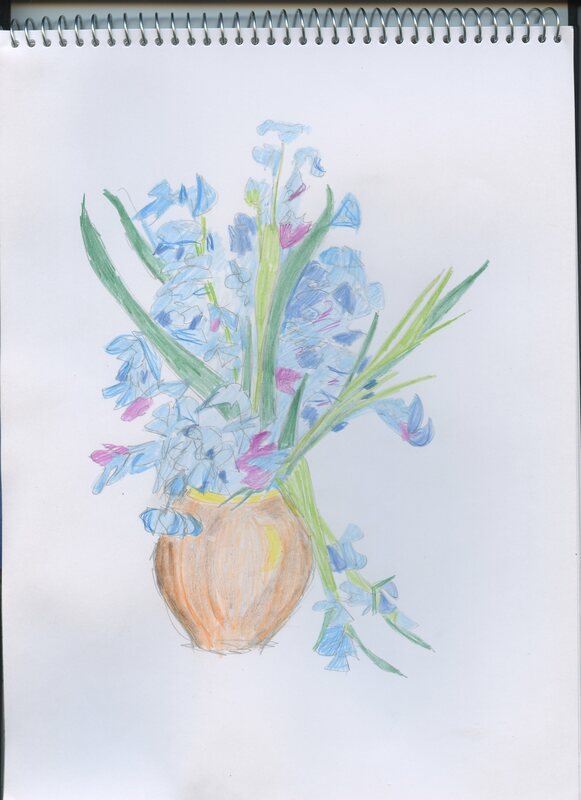 This entry was posted in creative exercises and tagged art, colored pencils, creative exercise, flowers, nature, sketch, trickster's hat, van gogh on May 15, 2014 by littledragonblue. Exercise 29: illustrate a quote. But not just any quote. It was supposed to be something with a bit of humor to it as well as depth. I struggled with this assignment for days, perusing Bartlett’s, surfing web pages full of inspirational quotes. I didn’t want to put any effort into illustrating a quote that wouldn’t be deeply meaningful to me, and most of my favorite quotes are fairly serious, primarily about writing and creativity. Just as I was about to lose hope, I noticed a little scrap of paper tacked to the wall behind me, where I had written out this Robert Graves poem, “How and Why” from (I think) the book Ann at HIghwood Hall: Poems for Children, published in 1964. (It’s entirely possible it’s from a different book of poetry for children by the same author, but I think this is the one). 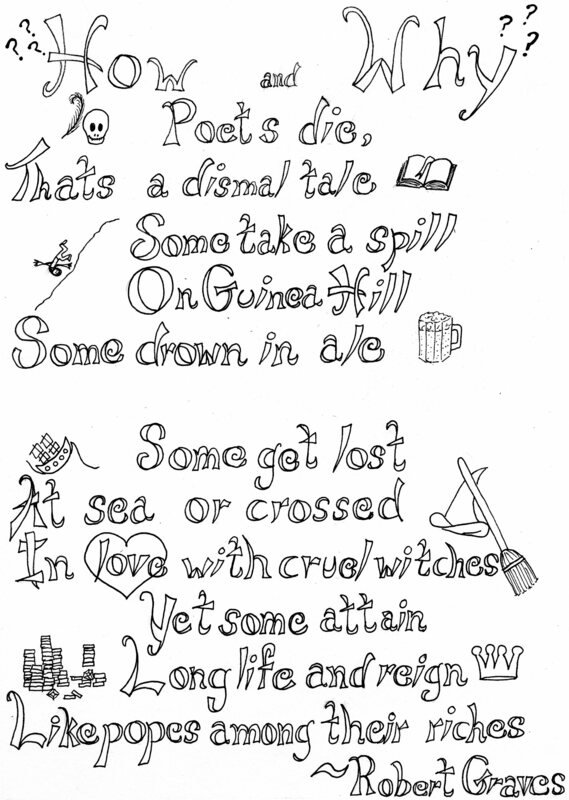 I had long been fascinated with the light-hearted, but also sort of provocative rhyme, and he long intended to illustrate it with almost exactly the precise designs I used here. It took several days to create the lettering (I made these up rather than using a known typeface), sketch everything out, and ink it in. I’d still like to do some further digital work to touch it up, but this is probably my favorite finished product; It’s framed and hanging on the wall, just as I’d imagined it for about a decade. This entry was posted in creative exercises and tagged art, creativity, font, illustration, ink, lettering, quote, text, trickster's hat on May 10, 2014 by littledragonblue. Exercise 21 required 4 squares, lightly taped together. The collage was built on top of the squares, which were then cut apart and rearranged several times. I saved my favorite images for the top layer. Cutting the work up was a bit difficult, emotionally. As mentioned before, this book calls for many collages. After a while they all sort of blur together and I didn’t enjoy many of the later ones. I wanted more drawing, more painting, less cutting out, less pasting. The prompts were different, but I’m not sure the results were substantively so. 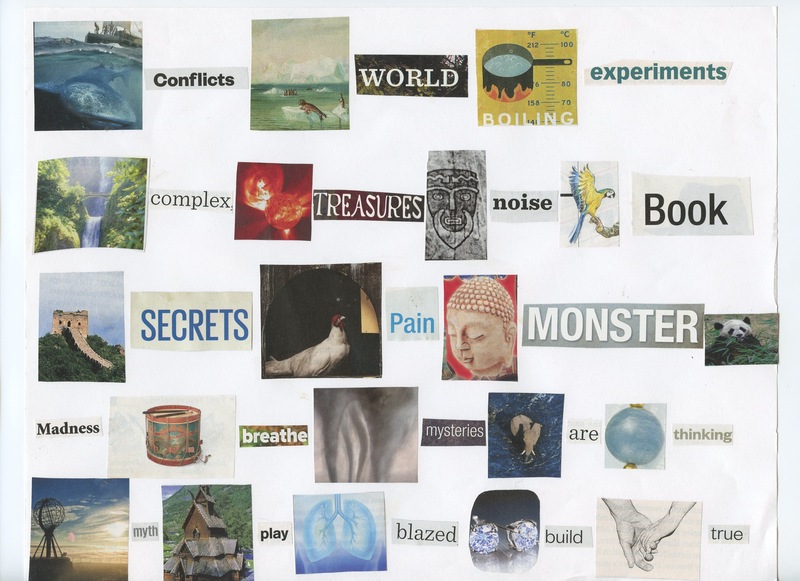 Exercise 30: a collage pairing words and images to tell a story, without the words and images necessarily relating to one another. It became routine for me, to sit up at night chopping images from magazine and gluing them down. 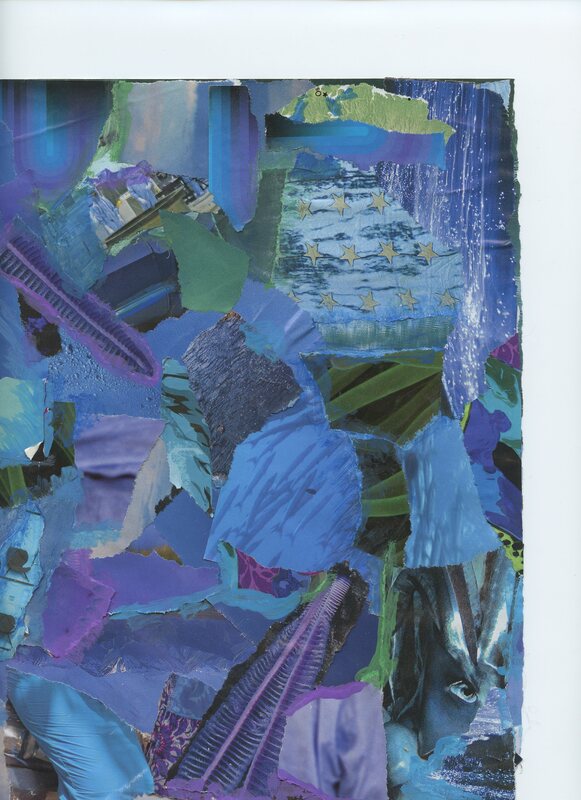 Exercise 39: a collage comprised exclusively of blue parts, with a little green and purple added at the end. I have no idea which end was supposed to be up. Some of them were uplifting, but toward the end I was just phoning them in and not getting much out of the experience. 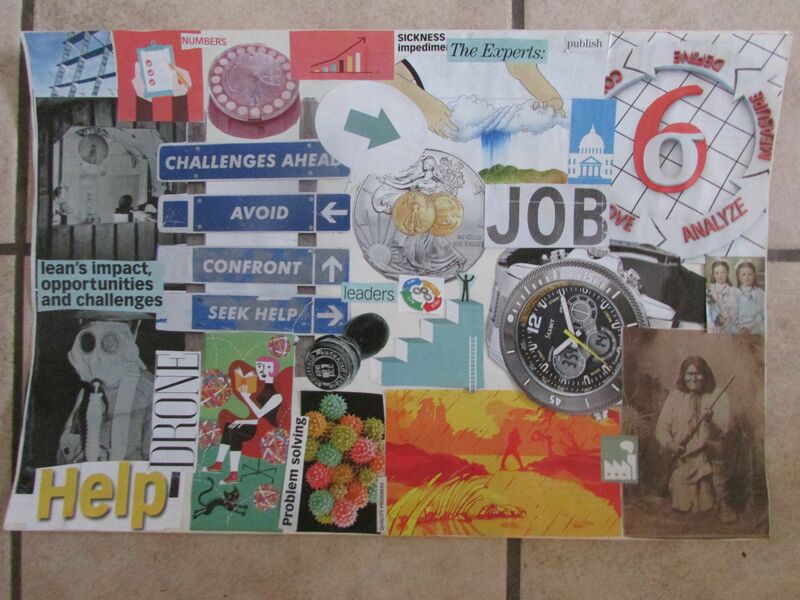 Exercise 43: make a collage while listening to evocative music and smelling evocative scents. Not really any different than my regular process. But then again, there are visual thematic elements that seem inspired by something ephemeral and uplifting, so who knows? 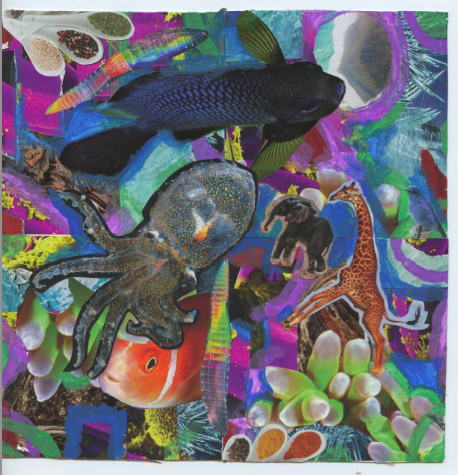 This entry was posted in creative exercises and tagged animals, art, blue, collage, creativity exercises, trickster's hat, words on May 5, 2014 by littledragonblue. And now, for a slightly creepy interlude. Following instructions, I turned out two slightly unnerving projects. Above, the Idyllian Summoning Fetish, exercise 24. This was another one that required me to go buy junk at Goodwill: take a doll or action figure and modify it until it’s unrecognizable as the thing it started out as. This thing used to be a Barbie doll. My husband, whose response to 99% of my art is, “Ooh, pretty,” took one look at it and said, “That’s kind of terrifying.” So, good, an emotional response. I’m thinking of sending this thing to Nick Bantock. It’s certainly too bizarre to display in my home. The exercise also instructed me to create a descriptive card, as you’d see in a museum; I connected this item back to the country in exercise 7. The next page in the book also resulted in willful weirdness. 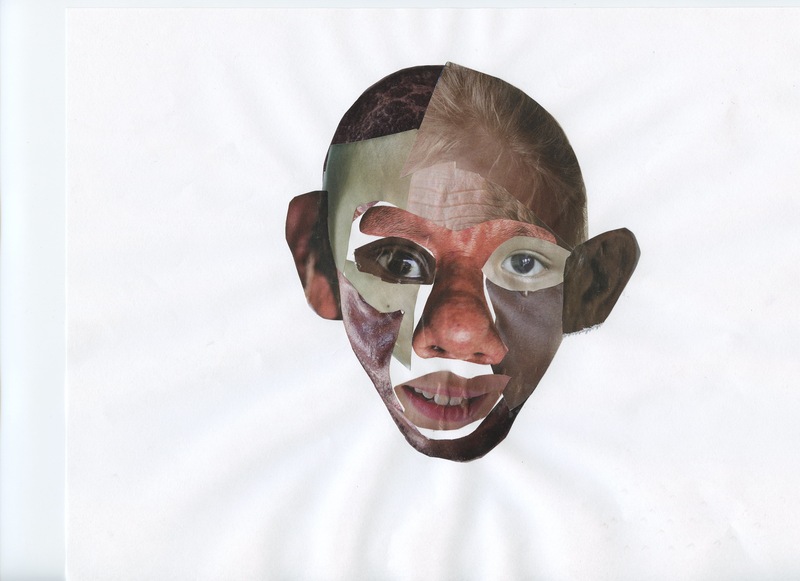 For part one, readers are instructed to cut parts of faces out of magazines and reassemble these disparate pieces into a new face. I choose people of different ages, genders, and ethnicities and ended up with a fellow who might have some difficultly getting a date. The second part was the same, except that the parts couldn’t be from actual faces. So, I have a man whose nose is a hook, whose eyebrows are binders, whose mustache is a forest. Overall, the results are pretty weird, but it does teach something about faces and proportion. 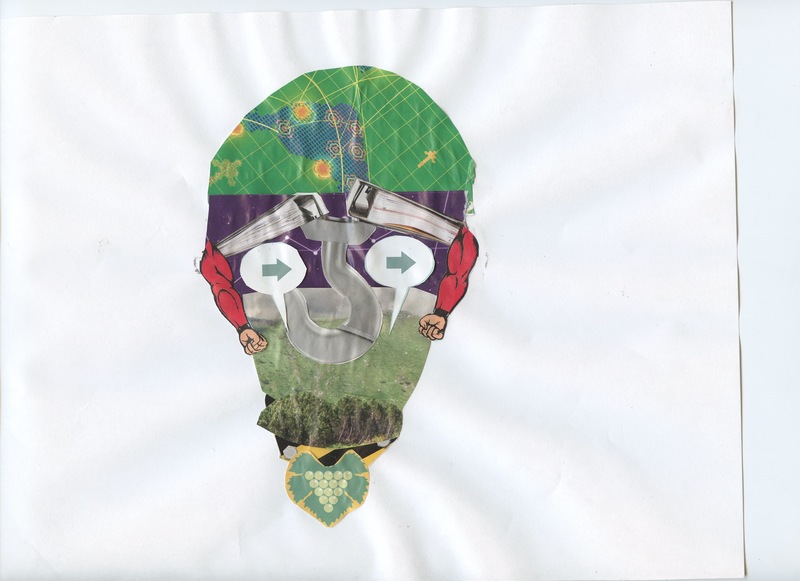 This entry was posted in creative exercises and tagged 3d, art, collage, creative, creativity, exercise, faces, modification on May 1, 2014 by littledragonblue.